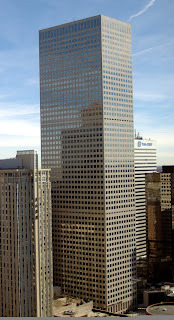 Constructed in 1984, Republic Plaza is the tallest building in Colorado, as well as the tallest in the entire Rocky Mountain region. It is located at 302 17th Street in Denver. The building was constructed in modern architecture from concrete and Sardinian granite. It has a gray curtain wall façade, and stands 714 feet tall with 56 stories. The tower was designed by Skidmore, Owings & Merrill. 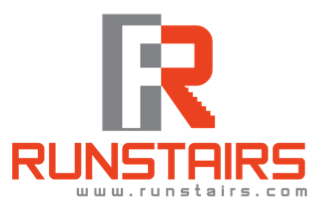 I ran the stairs of this building on February 23 2014 and you can read about it here. 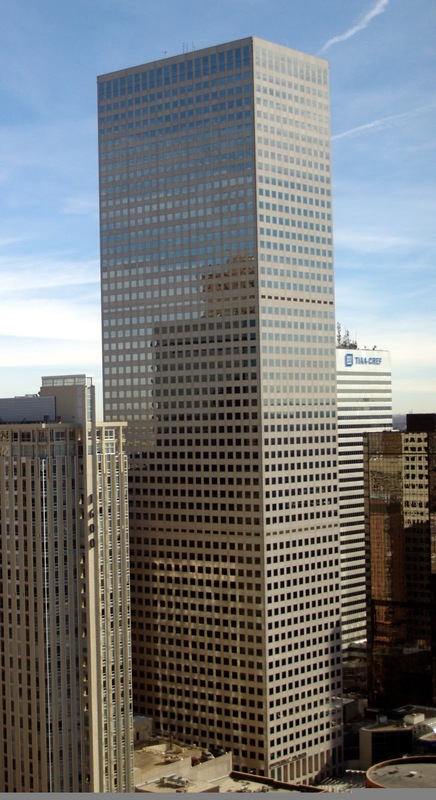 Click here for the listing of the tallest building in each of the 50 United States.